Jason Helman is one of the best golf coaches in Canada and often works with a variety of different golfers at the junior level, he offers private junior golf coaching programs and Junior Camps in Toronto. He works with beginner juniors, competitors learning to compete, and high performance junior golfers. Over the course of Jason Helman’s career he’s been striving to change the paradigm of how golf instruction is presented. Jason does not focus on single lessons or small packages and is very passionate about developing junior golfers and growing the game amongst today’s youth. If you want your child in junior golf to have an understanding of the sport for business purposes or you would like the family to be more active together or if they’re chasing the dream of a golf scholarship, Jason believes, as in every other sport that students need to commit if they really want to get better and achieve their goals. This requires them to have a solid long term relationship with the golf coach and an understanding of what student accountability really means as a club golfer or an athlete. Jason Helman is one of the finest golf coaches in Canada and often works with a variety of different golfers at the junior level. He works with beginner juniors, competitors learning to compete, competitive junior golfers and high performance junior golfers. 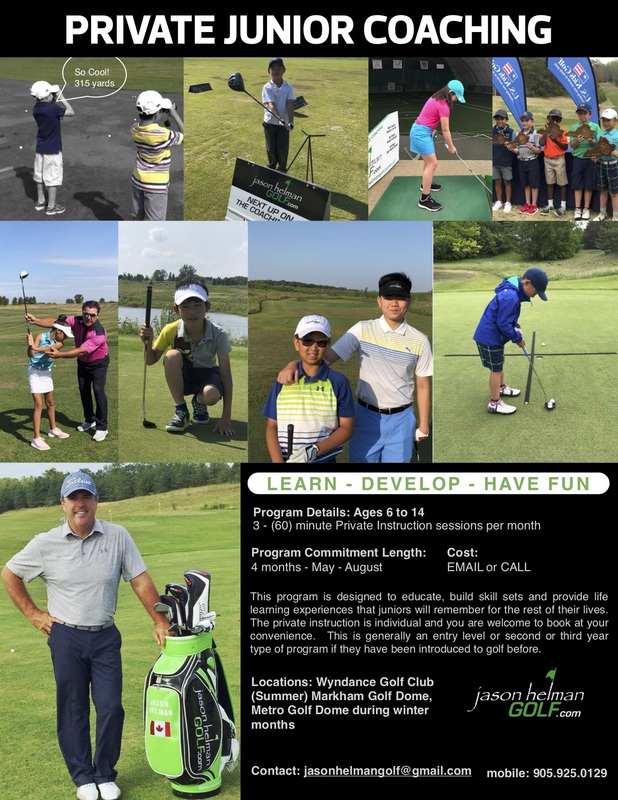 Jason’s junior golf coaching programs have been very popular and he has several successful junior golfers that have gone on to obtain golf scholarships. 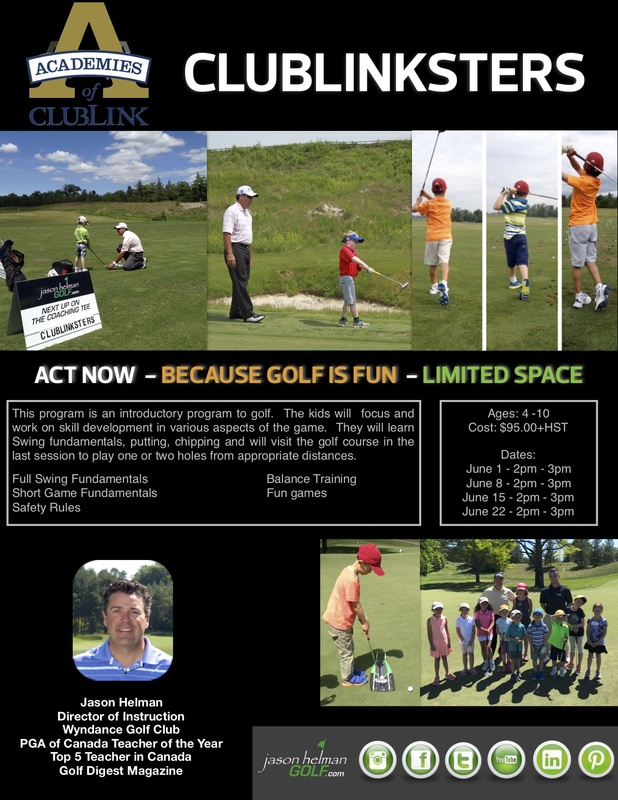 If you would like your kids to experience golf but you’re not sure, Jason Helman Golf also offers junior golf camps during the summer months. These camps are geared to golf and developing the skill sets and athleticism of the athlete, all while having fun, learning the rules, honesty, integrity, sportsmanship, respect, responsibility and courtesy the game and rich history has brought forward to us since it’s founding. If you truly want to have more enjoyment from the game, you have to commit to working towards improving your skills and learn to play golf. Jason prefers to teach you how to play golf versus golf swing. If you want to be better, do your due diligence and find the best golf coach, there’s no question coaching makes a difference in the development and success towards your journey in the game. Sign up for a Junior Golf Coaching Program today! 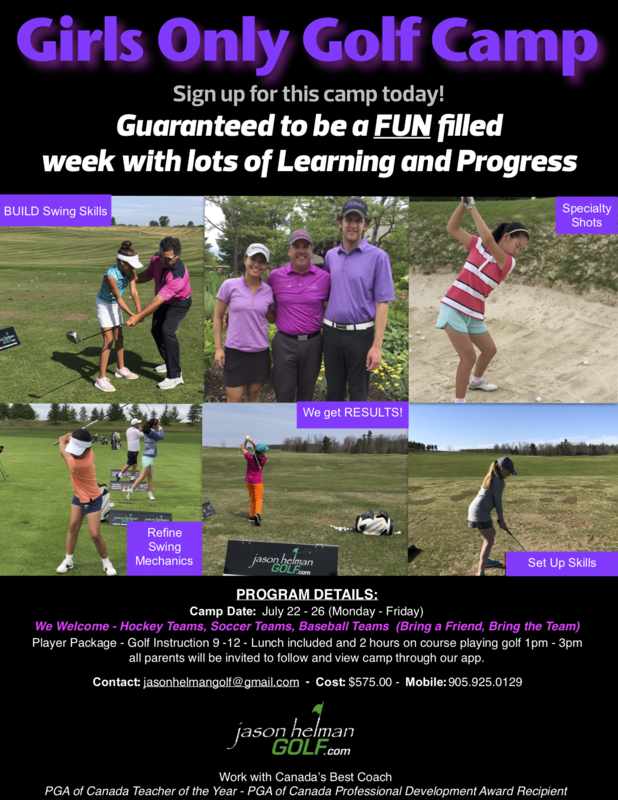 This 4 month program is designed to educate, build skill sets and provide life learning experiences that juniors will remember for the rest of their golfing lives. This private instruction is individually priced and you are welcome to book at your convenience. Ages 6 to 14 are eligible for this program. The program is based on 3 hours of coaching per month, per student. 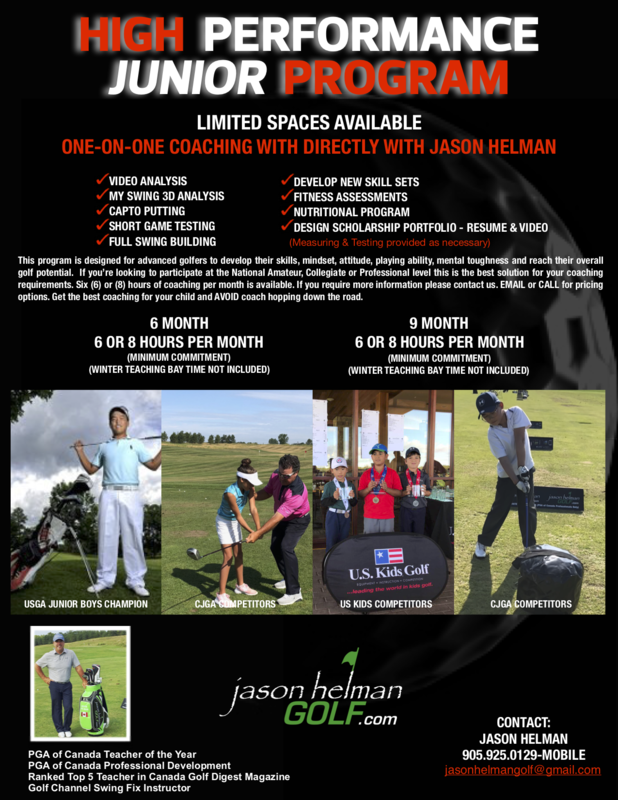 Contact us now to book in for private junior golf coaching and work directly with Jason Helman. If you’re in the following areas Toronto, Mississauga, Brampton, Oshawa, Whitby, Pickering, Uxbridge, Port Perry, Milton, Coburg, Peterborough, Belleville, Newmarket, Aurora, London, Kitchener, Bowmanville, Brantford, Oakville, Hamilton, Etobicoke, Vaughn, Stouffville, North York, Guelph, Port Hope, Barrie it’s worth the drive to enrol your junior in an exceptional coaching program. 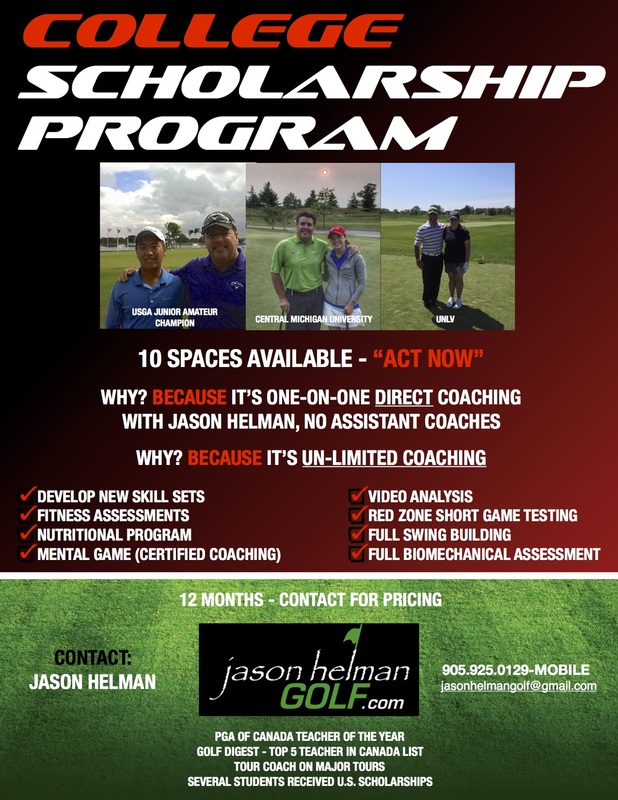 Jason Helman offers one on one un-limited coaching in a College Golf Scholarship Program. This is a 12 month program. 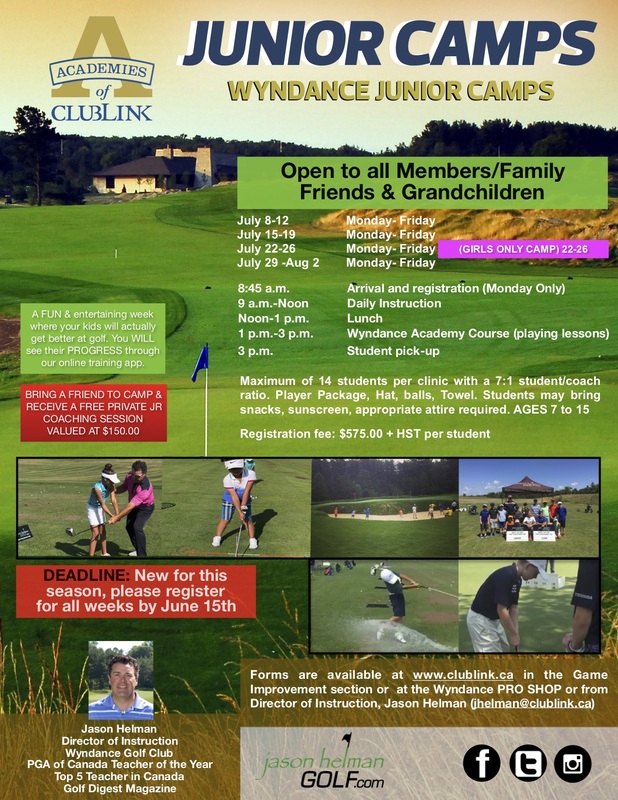 UN-LIMITED JUNIOR GOLF COACHING. This program requires commitment, dedication, passion and perseverance. The individual will meet Jason Helman and schedule sessions 48 hours in advance. Sessions might be on Swing refinements, Short Game Testing using the Red Zone Golf Combine, Sports Psychology, Nutrition or Fitness. Students will spend instructional time with Director of Instruction Jason Helman only and work one-on-one both on the range and on the golf course. The following will be used to facilitate the findings: 3D Balance Analysis, Capto 3D Putting, Coach Now Student Online Coaching locker, Video Analysis, Launch Monitors, and other fitness related testing to ensure you reach the highest level possible, these are inclusive to the program. The components of this program consist of monthly coaching sessions, supervised practices, nutritional sessions, fitness sessions, mental game coaching, Other notable topics: goal setting, tournament scheduling College Resume and recruiting information. CALL – EMAIL for Pricing (ONLY 10 SPACES AVAILABLE) – Act Now! Experienced QUALITY coaching is hard to come by. Please do your due diligence when researching a coach for your junior athlete. It’s very true in today’s society that you get what you pay for. This program is a minimum 6 month program and is structured for monthly payments. If your serious about competitive golf on any level, interested in perhaps a scholarship or have aspirations of one day turning professional this is great program. The hours or monthly commitment options are your choice. Custom options are also available. This program requires commitment, dedication, passion and perseverance. However, the program is also designed to give you a certain “life balance” which is very important for your growth as a person not just a golfer. The components of this program consist of monthly coaching sessions, supervised practices, nutritional sessions, fitness sessions, online training space, mental game coaching and more.